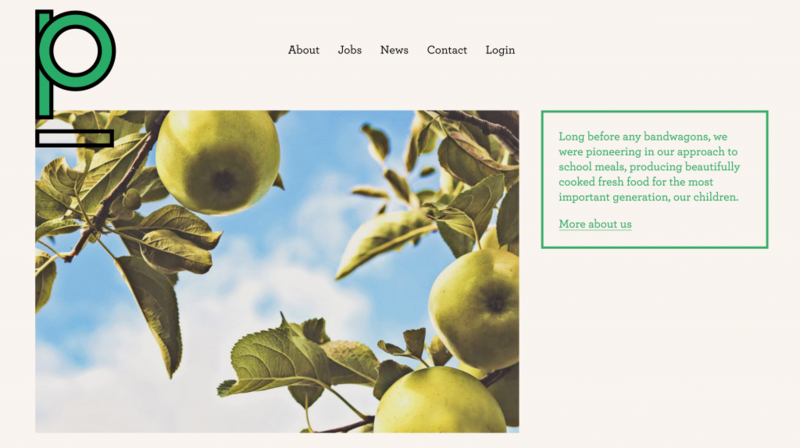 Totalcontent | a tasty brief from Harbour & Jones. Home » blog » a tasty brief from Harbour & Jones. You wait weeks for a tone-of-voice project, and then five come along at once. 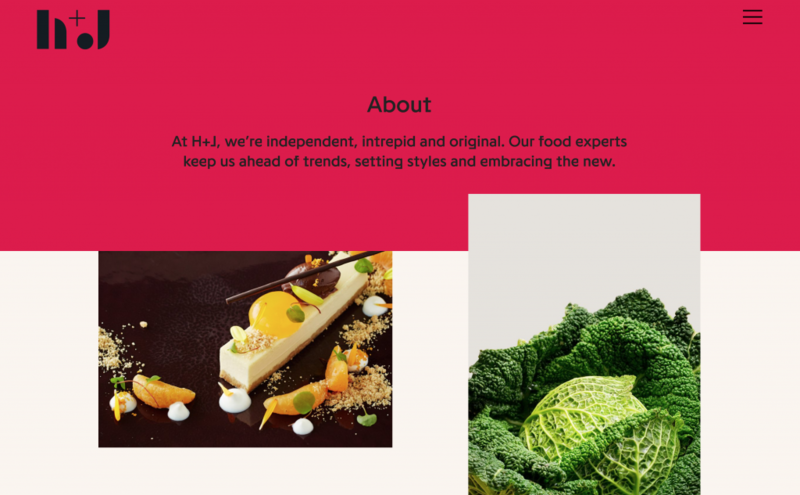 At least that’s what happened earlier in the year when we helped Spy Studio with their rebranding programme for Harbour & Jones, one of London’s leading catering outfits. 1 First off there was Harbour & Jones itself, which provides upscale catering and workplace dining for a variety of prestigious venues, including RIBA, The Royal Society, RADA and the RSA. The name was condensed to H+J, and a concise yet friendly tone was developed. 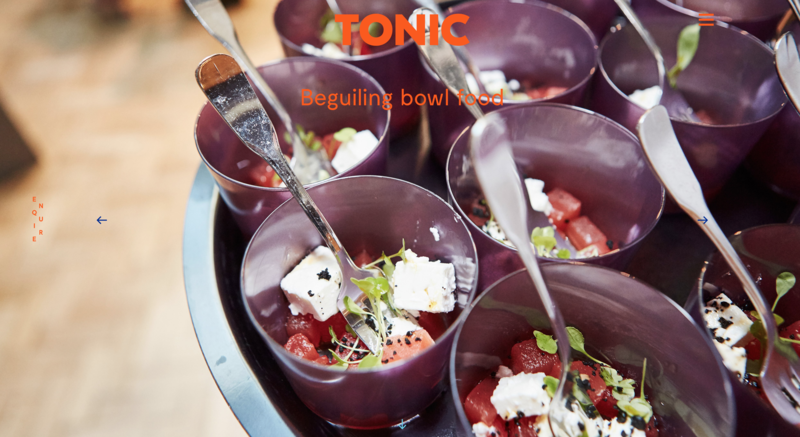 2 Tonic is Harbour & Jones’ events catering business. It was simply called Harbour & Jones Events at the start of the project, but ended up with a new name as well as a new identity. The tone of voice for Tonic was more creative and contemporary, reflecting the kind of exciting themed menus it serves up at hotspots such as HMS Cutty Sark and the Science Museum. 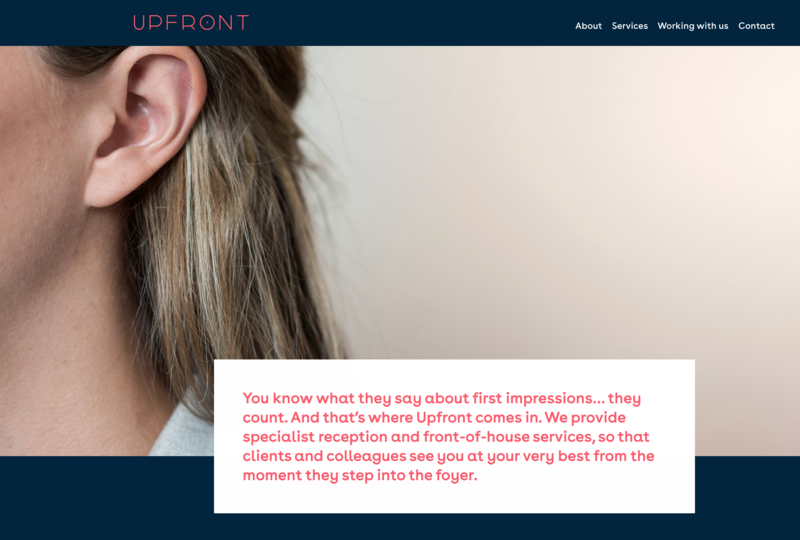 3 Upfront is Harbour & Jones’ reception and front of house service. It operates in blue-chip companies, mainly in the City of London. This called for a welcoming yet professional style of writing. 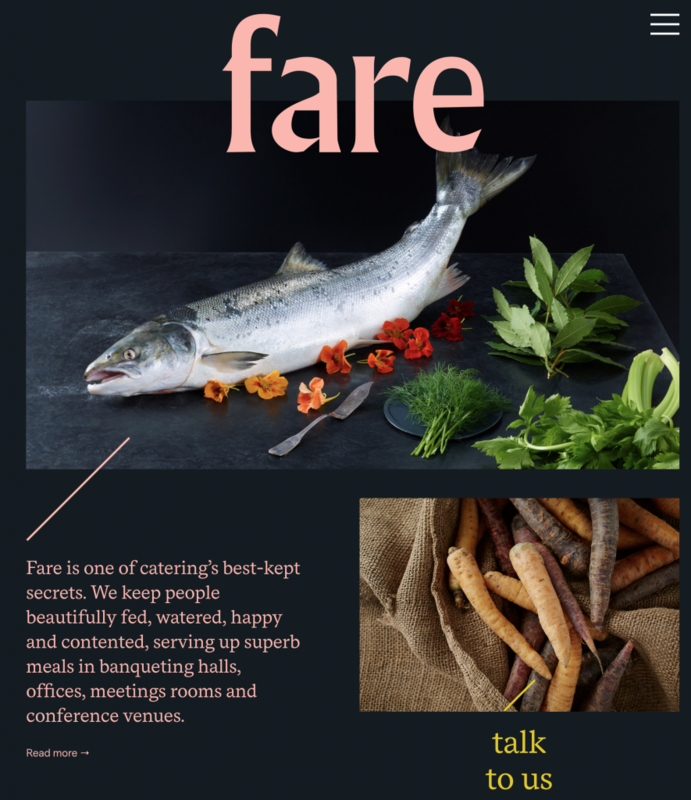 4 Fare is a recent addition to the portfolio, and specialises in catering for ancient City guilds and respected colleges, as well as conference organisers and multi-nationals. The tone of voice settled upon for Fare was precise and quietly assured. 5 Finally, Principals prepares and serves school dinners for secondary school children in Kent. This needed a bright, informed and educational verbal approach that would appeal to parents, pupils and client schools.